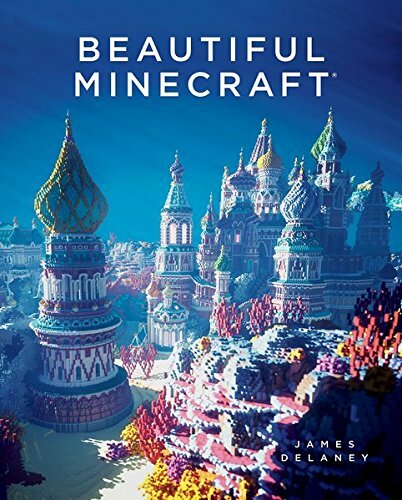 This 112-page hardcover features some of the most amazing creations to ever appear in Minecraft. I've seen some of them online but there are more conveniently curated in this book format. The subject matter is split into different categories but the main ones would be fantasy worlds, creatures, sculptures and landscape. The creations are amazingly detailed. Some required several builders and billions of blocks to build. Each piece is a work of art, specially crafted and awe-inspiring even. I can only imagine looking at them from inside Minecraft. Downside of the book is the use of gimmicky filters and depth of field when rendering. The filters create a colour cast over the pictures and it's really unnecessary because the creations are awesome by themselves. I do not like the filter. The use of depth of field is questionable as some are tastily done but some are just using the blur to obscure details that would look better without the blur. The size of the book is alright although because some creations are so detailed, I often wished that this book was much larger. There are selected pieces with zoomed in views though. Overall, I think fans of Minecraft would love it. This book's a good showcase that art can come in different form and media.